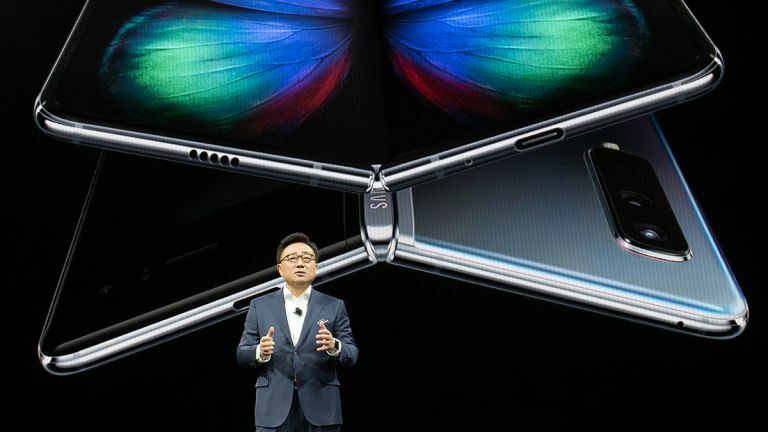 Samsung Galaxy Fold, the first foldable flagship from the company, isn't due to hit shelves until April 26 in the United States and May 3 in the UK. However, Samsung has launched a new page on its US website that allows people to get themselves in line ready for the feverishly-anticipated new handset. Unfortunately for those based in the United Kingdom desperate to get into a digital queue, no webpage offering the option to "reserve" is currently available. Those in the United States who'd like to get their names on the list don't need to put down any money ... for now. It's simply to register interest in the flagship smartphone, which will cost $1,980 in the US, €2,000 in Europe, and £1,799 in the UK. On its webpage, Samsung refers to this process as "reserving" the Galaxy Fold. However, it's unclear whether this'll guarantee that the South Korean company will put aside a smartphone for you ready for the release date. US mobile carriers AT&T and T-Mobile are both listed on the reservation webpage and will be selling the Galaxy Fold on monthly contracts. However, no pricing has been revealed at the moment, but we'd wager the monthly cost of a $1,980 with 4G (or even 5G in some areas!) mobile data, calls and texts isn't going to be a bargain. In the UK, mobile network EE has already confirmed it will carry the Galaxy Fold. UK pre-orders will go live on Samsung.com/uk/Galaxy-Fold and ee.co.uk/samsungfold from Friday April 26, 2019 ahead of the launch the following month. Both companies currently allow prospective Galaxy Fold owners to register an interest on their website. However, it's worth pointing out that this does not carry the same "reserve" label as the US version of the webpage. The Galaxy Fold will ship in Space Silver, Cosmos Black, Martian Green and Astro Blue. The last two colours will be exclusive to Samsung and not available on EE contracts. Customers purchasing these variants can also select a made-to-order custom colour combination, choosing either a Dark Silver or Gold hinge.